Scrub off winter dry skin with these three bath products that will have you relaxing and soft in no time! 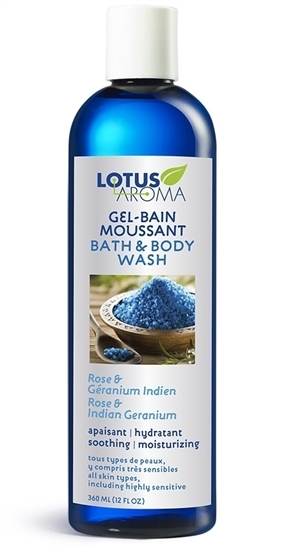 Lotus Aroma Bath & Body Wash Rose & Indian Geranium – If you love florals then this is the body wash for you. You can always count on Lotus Aroma for creating new scents that really fill up a room. This body wash is no different. The rose and geranium smell really surrounds you and makes you feel all girly and flowery. The scent doesn’t linger on your skin, which is a bit disappointing, but you still feel all lovely and clean. 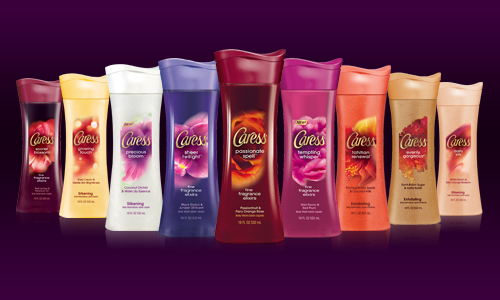 Caress Body Wash – I didn’t think much of the Caress Body Wash when I saw them. I admit that I judged them because they are affordable (under $5) and available at value stores like Walmart. I tried the Silkening and Exfoliating soaps with pleasant results. The Silkening soaps are so soft and gentle on your skin. It’s hard to deny that your skin feels softer when you get out of the shower. Meanwhile the Exfoliating soap is gentle enough that you can exfoliate regularly, which is so important to stop dry winter skin. 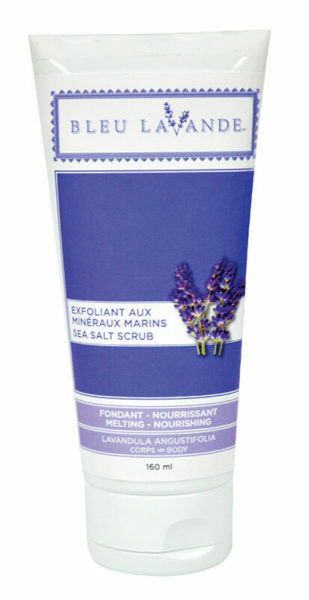 Bleu Lavande Sea Salt Scrub – Unlike most sea salt scrubs, this one is all in. This scrub is packed full of salt to give you a serious exfoliation. The soft lavender scent also makes it perfect for those before bedtime showers. Your skin will feel smooth and soft and you will be relaxed.